While the static behavior of concrete has been the subject of numerous works, the same cannot be said for the dynamic behavior. 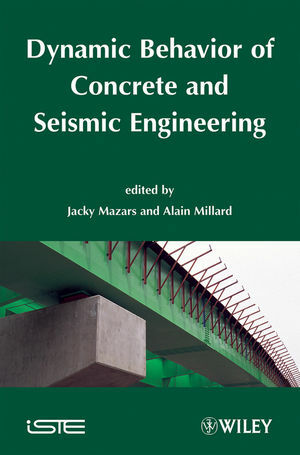 This book sets out to remedy this situation: it begins by presenting the most frequently used experimental techniques in the study of the dynamic behavior of concrete, then continues by examining seismicity and seismic behavior, soil behavior, models of concrete structures subject to seismic activity, seismic calculation methods of structures, and paraseismic engineering. Jacky Mazars is a Professor at the National Polytechnic Institute of Grenoble, France. He is an expert in mechanical behavior and durability of civil engineering structures.